Utilizing advanced acoustic filter technology; TRU hearing protection has been critically tuned to reduce volume yet maintain sound quality across the sound frequency spectrum. The result is a comfortable and transparent listening experience for professional musicians and recreational users. Low profile and 4 selectable filters to match listening preferences. Available in a wide variety of solid colors, shiny finish, 2-year warranty. Driver: Single Driver, Sound Isolation: 26 dB, Frequency Range: 20Hz to 5,500 Hz, Sensitivity: 117dB @ 1 mW, Impedance (1 kHz): 396 Ohms, 1-year warranty. Driver: Dual Drivers – woofer and tweeter, Sound Isolation: 26 dB, Frequency Range: 20Hz to 15,000 Hz Sensitivity: 106dB @ 1 mW, Impedance (1 kHz): 42 Ohms, 1-year warranty. Westone® CR10 Custom Headphones are for active individuals who love their music and want to upgrade from stock stereo earbuds. Perfect for travel, exercise, or motorsports, the CR10 is driven by a set of high-quality drivers in a pair of full shell custom earpieces. Compatible with virtually any personal audio device, the CR10 comes with a 50-inch hardwired black cable and 3.5mm stereo plug. Standard with Gunmetal Black faceplate and clear earpieces, but additional color options are available. Only in vinyl. Recommended for motorsports and active users. 1-year warranty. The AC Series breaks new ground in performance, quality, and value. Handcrafted in the same custom lab alongside the revered Westone ES Series, the AC Series uses balanced drivers to accurately reproduce your live performance. The “cold pour” clear acrylic body with the EPIC replaceable cable is exceptionally comfortable, provides up to 25dB of ambient noise reduction and is quite stealthy on stage. 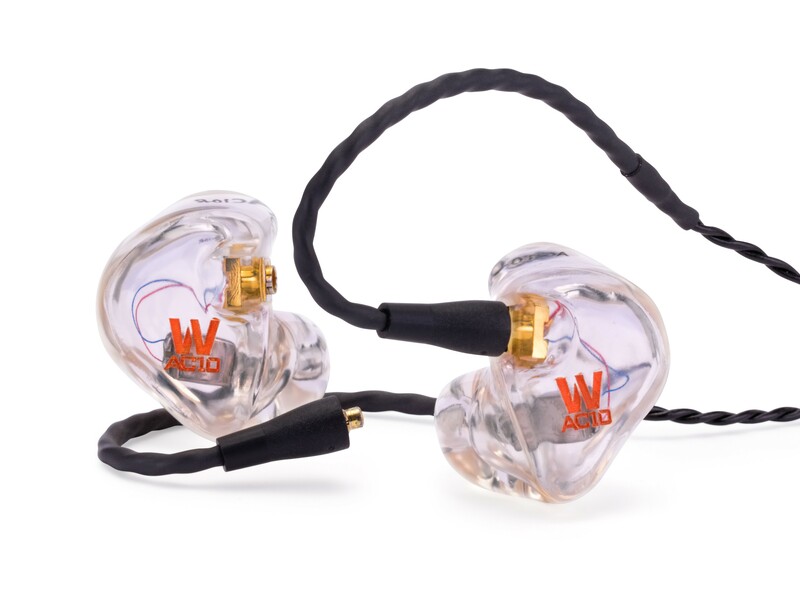 The AC Series is available only in clear, full acrylic, with the Westone logo etched on the faceplate. Recommended for emerging artists and worship teams. 2-year warranty. 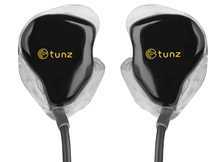 Great entry-level monitors, Tunz Duo S perfectly amplify both mid- and high-range sounds so you can stay on top of what’s happening on stage. Driver: Dual Drivers – woofer and tweeter, Sound Isolation: 26 dB, Frequency Range: 20 Hz to 15,000 Hz, Sensitivity: 106dB @ 1 mW, Impedance (1 kHz): 42 Ohms, 1-year warranty. 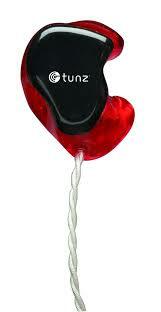 The natural, live quality sound of Tunz Trio make them the ideal monitor for keyboard players and singers. They minimize bass to isolate performances more easily. Driver: Triple Drivers – 2 woofers and tweeter, Sound Isolation: 26 dB, Frequency Range: 20 Hz to 15,000 Hz, Sensitivity: 119dB @ 1 mW, Impedance (1 kHz): 15 Ohms/ 1-year warranty. 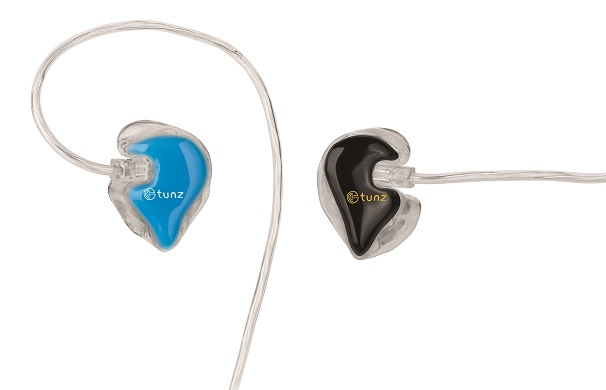 Experience the full range of sound with Tunz Trio B. Custom-fit perfectly to your ears, their triple drivers designed for guitar and bass players. Driver: Triple Drivers – woofer, tweeter and subwoofer for bass boost, sound Isolation: 26 dB, Frequency Range: 20 Hz to 15,000 Hz, Sensitivity: 120dB @ 1mW, Impedance (1 kHz):15 Ohms, 1-year warranty. 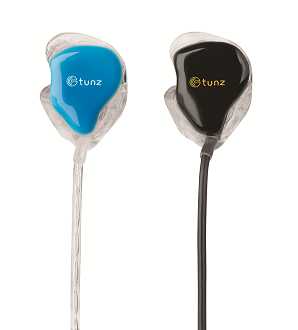 Get an extra boost of bass with Tunz Trio XB stage monitors. Recommended for drummers and bass players. Driver: Triple drivers – woofer, tweeter and subwoofer with extreme bass boost, Sound Isolation: 26 dB, Frequency Range: 20 Hz to 14,400 Hz, Sensitivity: 121dB @ 1 mW, Impedance (1 kHz): 15 Ohms, 1-year warranty. The ES30 is a well-balanced, triple driver system with a three-way passive crossover. Silky smooth across all frequencies, the ES30 is an ideal in-ear monitor for the performing musician, audiophile, and home/field recordist. 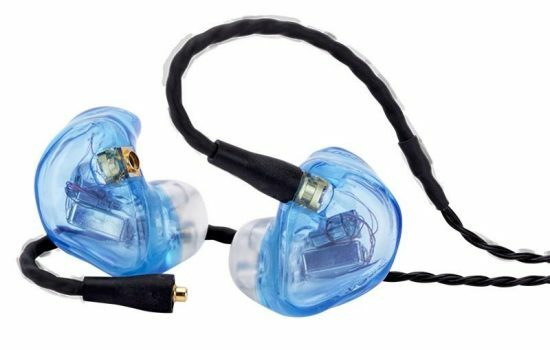 The “cold pour” clear acrylic body with the EPIC replaceable cable is exceptionally comfortable, provides up to 25dB of ambient noise reduction and is quite stealthy on stage. 2-year warranty. 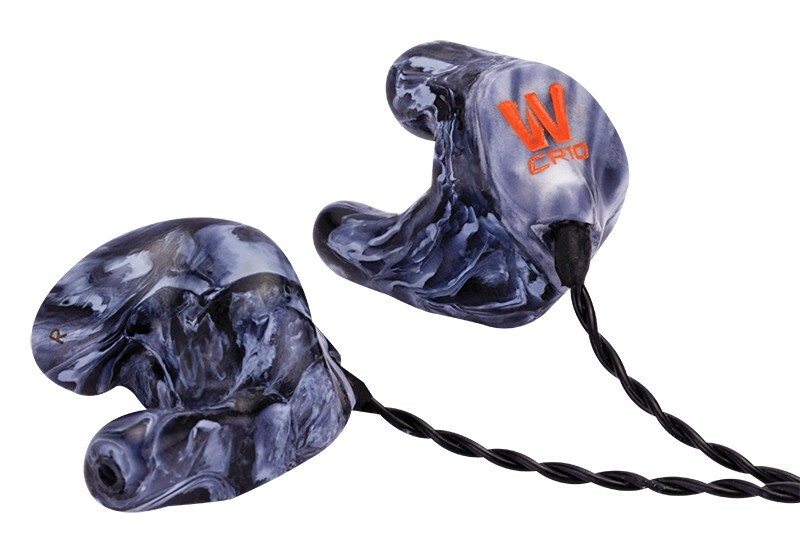 The Westone ES50, designed by musicians for musicians, is the premium in-ear monitor for live stage performances or for the serious audiophile. 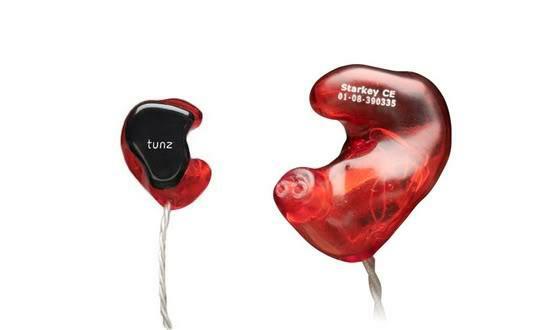 Five masterfully tuned balanced armature drivers deliver smooth, translucent and detailed sound. 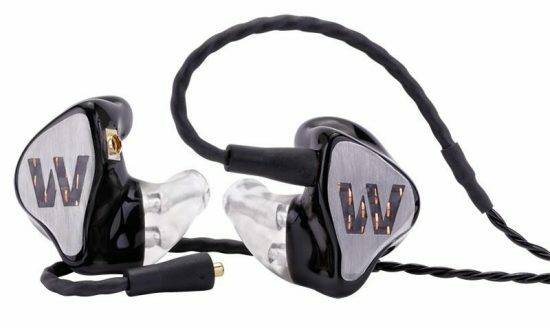 The Westone ES60 is the ultimate custom in-ear monitor, handcrafted with six balanced armature drivers in each earphone and a multistage crossover design that yields unrivaled sonic purity. 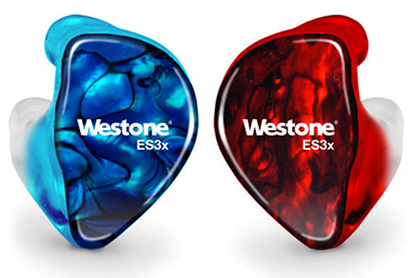 With eight masterfully-tuned balanced-armature drivers, Westone’s new flagship product, the ES80, delivers a dynamic sound with a fresh clarity and extended harmonic content that has never been heard before in a custom-fit earpiece.